This puzzle is not mine, although I don't have any reference as to where it originated from. I discovered it when I was a student, some fifteen years ago. It has been among my favourite chess puzzles since then. Could be very well known or a duplicate, but I couldn't find it in the database. The following position is legal, except that the White King (and the White King only) is not displayed. Find it. First, we determine which side is to move. Unless the white king blocks the a4-d1 diagonal, the black king is in check. The king can't be on c2 since it would attack the black king; on b3, White would be to move but there's no way this double-check could have happened in a real game; there's no way to clear both the b3-d5 diagonal and the b3-b5 file with one move from the black rook or the black bishop. Black simply couldn't have played Bb4-d5 or Rc4-b5. 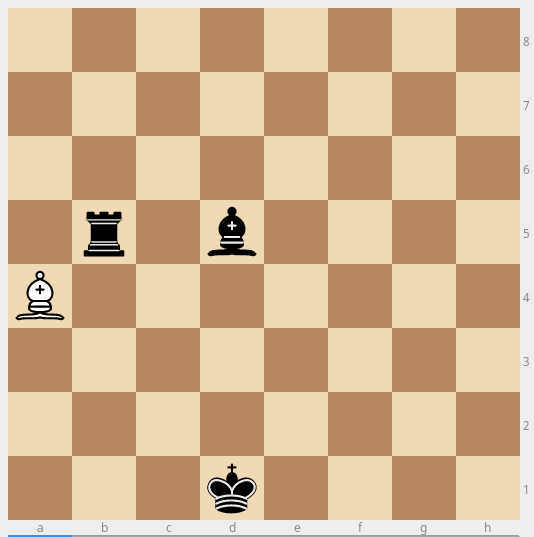 So the black king is in check and White made the last move. So, what was the last move? The bishop can't have moved along the d1-a4 diagonal, because it would give check on c2 and d3 as well. So it must be a discovered check, caused by a move from the white king, from b3 to another square. doesn't this lead to the same problem as before? On b3, the White king is still in double check. No, because there is a move which simultaneously clears the b3-d5 diagonal and the b3-b5 file, but it requires extra pieces: an en-passant capture from b4 to c3, capturing a pawn on c4. Since we have an extra (half-)move compared to the situation above, we can use that move to get rid of the black pawn. if White played 1. c2-c4, Black can play 1... b4xc3 e.p., White responds with 2. Kxc3 and we're in the diagram in the question with the White king on c3. 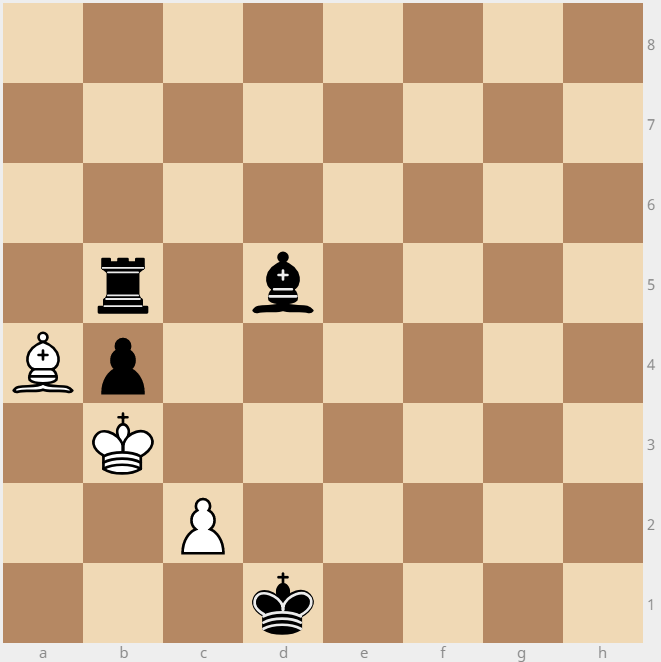 The last move in this position was Bd5+. White blocked the check with c4, black gave double check by capturing en passant bxc, and the king took the pawn on c3. Can you stop the rambling rook?